If you’re looking for some simple ideas to brighten up your room you’ve come to the right place. Designing your room effectively will affect your mood straight away. Brighter room, brighter mind. 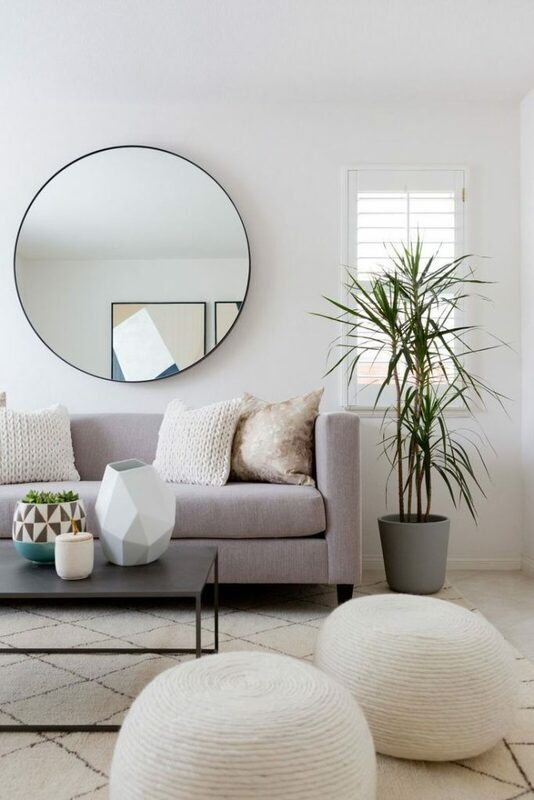 It’s so easy to throw your favourite furniture into a room and call it a day, but if you learn how to select the right items, you can transform it into a healthy, clear space with character! You’ll enjoy being in it so much you may opt for more nights in. Mirrors are used not only to expand the room, but to expand the sun’s touch. Reflections of light are so effective in the smallest of rooms such as bathrooms. Add a floor to ceiling mirror and double the size of your room. Mirrors magnify light and space at minimal cost. Combined with lamps and candles reflective surfaces give a touch of richness, elegance and warmth. The balance between dark and light has an important role in mood control. If your walls are dark be sure to match it with light bedding or material on your sofa, curtains and blinds. It’s totally acceptable to have a dark element in a bright room, just as long as the balance is present. Incorporating too much darkness can close up a room and cause it to appear gloomy. Instead of painting every single wall dark you can pick just one. In many homes this will be the chimney breast wall. You can also experiment with another larger wall which you can decorate with brightly framed pictures or a mirror. Dark colours can make a space look bigger since light is not reflected back into the eye. Effectively the wall is pushed back and further away making the space seem larger. A touch of nature in a home can totally transform it’s feel. Green is the most relaxing colour to the human eye. 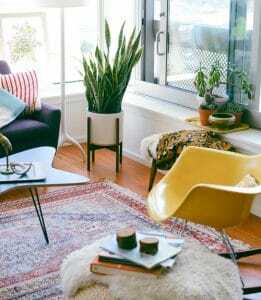 If you have a dark room choose fern and cacti as they can thrive in limited sunlight. There’s nothing like the vibrancy of real plants to liven up a room. Living organisms bring positive effects on the mind, not least oxygen for the body. But don’t just halt on the green! 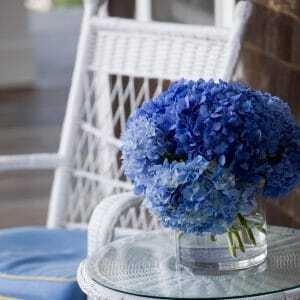 Add dynamics with cut flowers like the beautiful blue Hydrangea. Splashes of colour will lift your mood as well as the dark areas in your room. Windows must be top of the list of decorating considerations. Big heavy curtains can darken your home if they take up too much window space. Shutters can also shut out much needed natural light. Using a sheer curtain can physically allow light in, without giving you the uncomfortable feeling of being exposed. With the right fabric, you can transform your windows into an airy, bright expanse. Ceiling to floor length voile curtains can add height, light and elegance to a room. 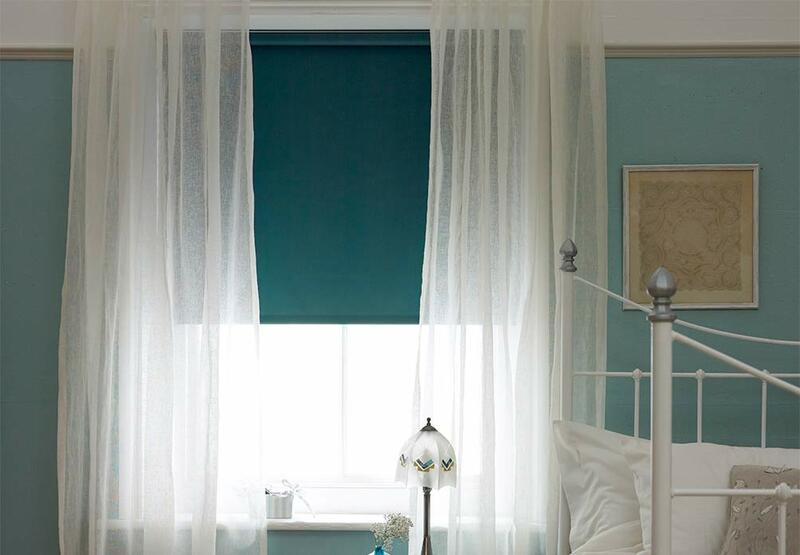 Adding blackout or opaque roller blinds underneath voile curtains will give you the privacy you may need of an evening. 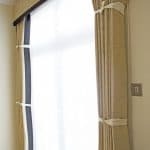 For bedrooms as well as living rooms sheer roller blinds can give some degree of privacy and are a great choice along with blackout curtains on top. Smaller rooms generally won’t feel right if there are too many large or dark features. That beautiful dark oak table you saw in that catalogue may look enticing, but will only ever belong in a large open space. In small rooms, it will only serve to close it up more. 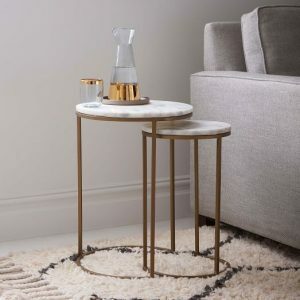 Go for light accent pieces, perhaps in creams and whites or light reflective materials. Ceilings should be white to add height. Specialist in curtains, blinds and soft furnishings. I am a City and Guilds trained soft furnishings maker and interior designer. I work in the residential sector offering a complete interior design service.